Select the name of an existing list, or enter a custom name for a new list in the Create new list field, and then click Create. Hover over the list name, and then click Edit . Click Add to add email addresses or domains to the list. 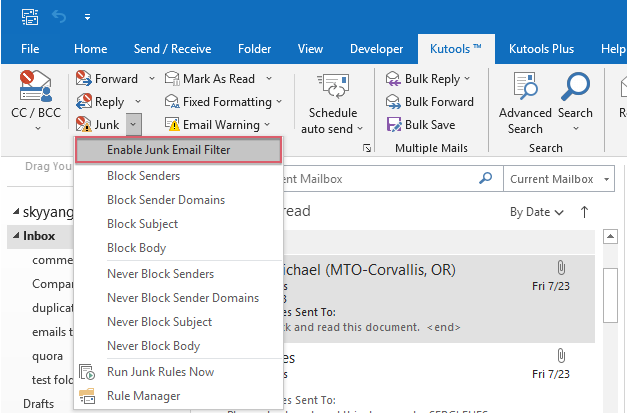 To add the sender of an email message to the Blocked Senders List, use the MarkAsJunk method and set the isJunk parameter to true. To remove the sender of an email message from the Blocked Senders List, set the isJunk parameter to false .